For the last few years I have spent time working in China, giving lectures and workshops on aromacology and aromatherapy in Beijing and Shanghai. I have worked for much of the time in Europe too – with London and Paris of particular importance to me – but have really enjoyed China due to their passion for and recognition of the therapeutic benefits of natural ingredients. My association with Sanatio Naturalis started two years ago when I met Ruonan Shi in London after coming back from Beijing. She contacted me after reading an article in Chinese Vogue magazine: an article about my work in aromatherapy and aromacology and the celebrities I had dealt with. She was intrigued and very shy to meet me, noticing after reading the article that I had over 45 years of experience in that field and I had been trained at the early age of 18! And by the pioneer of aromatherapy, Margeurite Maury, in Paris. What delighted me really is that Ruonan Shi wanted to start a venture in aromatherapy for the Chinese market and was seeking my help. I had had that ambition myself years before, but didn’t know how to go about it after a poor experience in that market. She had ambition and was thirsty to learn, but what pleased me the most was that she was striving for the highest quality, as she emphasised to me the first day of our meetings. She really cared about bringing high-quality aromacology products to China. Her exact words: “I need to bring to the market what is missing”. It took me by surprise, I must say, to see someone so determined. I was busy at the time we met, finishing a book. I was hesitant but could see a connection and the ambition and the hard work Ruonan Shi was prepared to put in. I felt that I could help her and that the timing was right. And so, on the 8th October, after two years of hard work, I flew especially to Beijing for the launch of our new venture with Sanatio Naturalis. 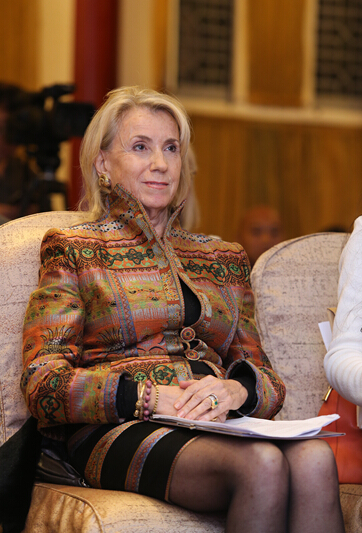 The launch party was held in central Beijing in an historical building. It was a splendid venue, beautifully decorated for the special event. I was honoured at the banquet, held on that special occasion to recognise my role as a co-founder of the company. The ten day trip to China also involved interviews with many of the Chinese press and the beginning of my role as journalist for one of China’s major online health & beauty magazines. As a footnote, Geoffrey Davies of the University of Westminster – a communications expert – introduced me at the banquet and you can read his speech here. A wonderfully memorable trip and a partnership which I hope will continue for years to come.